Polonska-Vasylenko, Nataliia [Полонська-Василенко, Наталія; Polons’ka-Vasylenko, Natalija], b 12 February 1884 in Kharkiv, d 8 June 1973 in Dornstadt, near Ulm, Germany. Historian and archeologist; full member of the Historical Society of Nestor the Chronicler from 1912, the Tavriia Learned Archival Commission from 1916, the Shevchenko Scientific Society from 1947, and the Ukrainian Academy of Arts and Sciences from 1948; daughter of Dmytro Menshov and wife of Mykola Vasylenko and Oleksander Morhun. 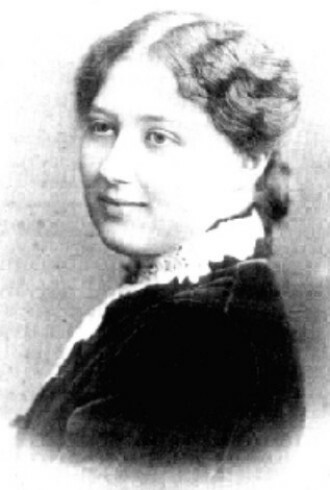 A graduate of the Kyiv school of Higher Courses for Women and Kyiv University (1913), she was a privatdocent at the university (1916–20) and director of its archeological museum. Under Soviet rule she was a professor at the Kyiv Institutes of Geography, Archeology (1918–25), and Art (1927–30) and a research associate at the All-Ukrainian Academy of Sciences (1924–33), the Kyiv Central Archive of Old Documents (1925–7), and the Academy of Sciences of the Ukrainian SSR (now NANU, 1937–41). In 1940 she defended her doctorate and became a professor at Kyiv University (1940–1). During the Nazi occupation she directed the Kyiv Central Archive of Old Documents (1942–3). As an émigré she was a professor at the Ukrainian Free University (UVU) in Prague (1944–5) and Munich (1945–73; dean of its philosophy faculty from 1966) and at the Theological Academy of the Ukrainian Autocephalous Orthodox church in Munich (1946–52). From 1965 she was vice-president of the Ukrainian Historical Association. Polonska-Vasylenko is the author of numerous studies in Ukrainian history and archeology and of reminiscences about Ukrainian civic figures and scholars. They include a Russian cultural history atlas (3 vols, 1913–14); booklets on Kyiv during the reigns of Princes Volodymyr the Great and Yaroslav the Wise (1944) and the theory of the Third Rome in 18th- and 19th-century Russia (1952); a history of the VUAN and AN URSR (2 vols, 1955, 1958); a monograph (her revised doctoral dissertation) titled The Settlement of the Southern Ukraine (1750–1775) (vol 4–5  of The Annals of the Ukrainian Academy of Arts and Sciences in the United States); a book-length article on Soviet Ukrainian historical scholarship in the 1920s and Stalinist repression of Ukrainian historians (Zapysky NTSh, vol 173 ); a book on the historical foundations of the Ukrainian Autocephalous Orthodox church (1964); booklets titled Ukraine-Rus’ and Western Europe in 10th–13th Centuries [sic] (1964) and Two Conceptions of the History of Ukraine and Russia (1968); many studies on the history of the Zaporizhia and Southern Ukraine in the 18th-century, 14 of which were republished as Zaporizhzhia XVIII stolittia ta ioho spadshchyna (The 18th-Century Zaporizhia and Its Legacy, 2 vols, 1965, 1967); a book about Ukraine's prominent women (1969); and a general history of Ukraine (2 vols, 1972, 1976), which appeared in an abridged German translation as Geschichte der Ukraine von den Anfüangen bis 1923 (1988). The fullest bibliographies of her works appear in I. Gerus-Tarnavetska's booklet Nataliia Polons’ka (1974) and in Jahrbuch der Ukrainekunde (1987).